Since 1999, SOLIDWORKS World has been an experience. The event itself has always been a mashup of personal and professional. It’s learning about what’s new, next and never before from not only technological perspectives, but also from connecting with peers, who feel more like family. In both cases, the goal is to learn how to tackle challenges with new approaches to design and engineering. SOLIDWORKS World 2017 kicked off in Los Angeles with a fitting tribute to the city’s status as the entertainment capital of the world. 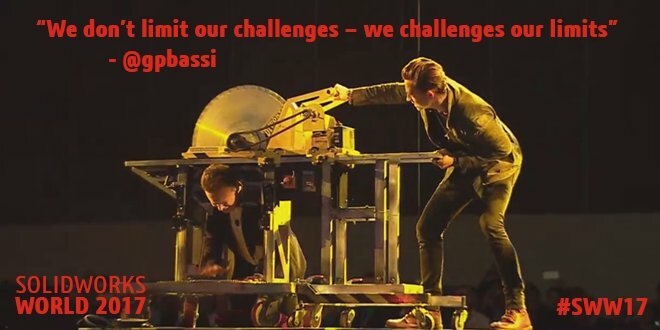 Magician Justin Flom and Tim Clothier, CEO and founder of Illusion Projects, joined SOLIDWORKS CEO Gian Paolo Bassi on stage to show how they use SOLIDWORKS to literally make magic happen. During the discussion, Flom shared his experience of working with David Copperfield to iterate on projects in eDrawings and the importance of mixing engineering and artistry to make the impossible possible. What followed was a rundown of amazing projects conducted by JPL and the Space X Hyperloop project. JPL is using SOLIDWORKS to engineer its Athlete robot; an agile machine designed to be the workhorse for planetary colonization. The Athlete can roll at 10 KM per hour and climb up to 35 degree slopes while carrying a half-ton payload. JPL is working to keep Armageddon from happening, and yes, I mean both the movie and the extinction-level event. 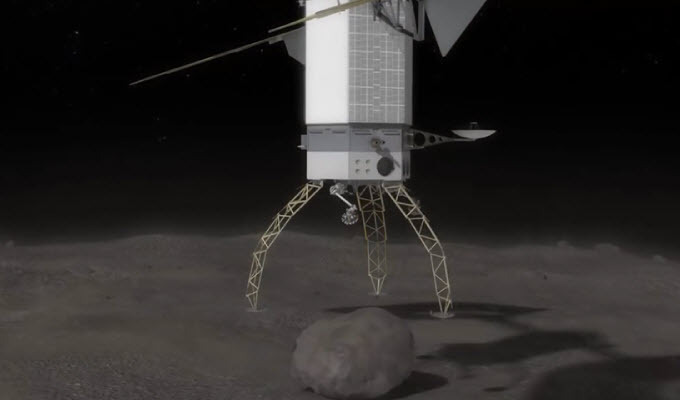 JPL’s robotic arm gripper can grab and remove a 15-ton boulder from the surface of an asteroid to alter its orbit and avoid collision with the Earth. 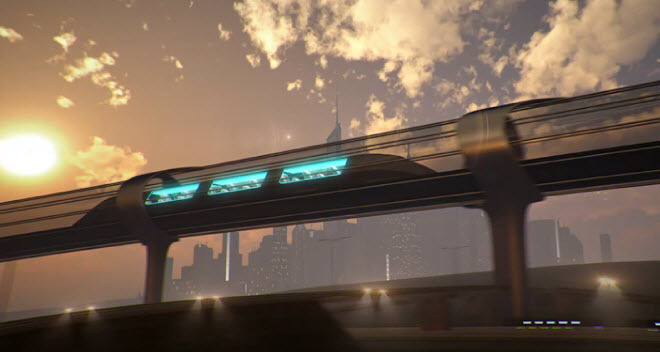 The Space X Hyperloop project is a program aiming to revolutionize transportation. 100+ teams from around the world are competing to build a train that can travel from Los Angeles to San Francisco in 35 minutes. Using SOLIDWORKS, the MIT Hyperloop team earned the best overall design in 2016. In 2017, the team from Delft University took top honors. Both designs will be tested in California later this year. 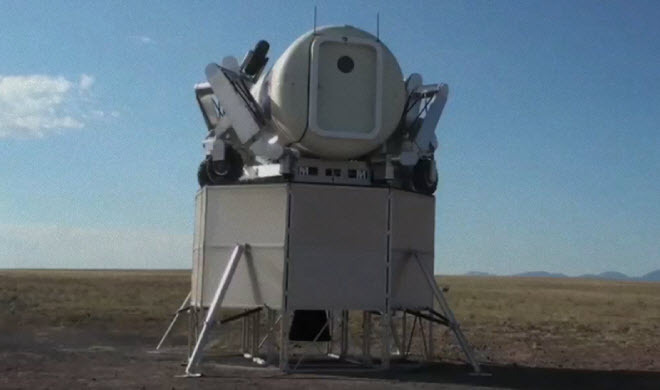 Colonizing planets, saving the earth, and traveling at 700 MPH are experiences the world is ready for and SOLIDWORKS is ready to help make those things happen. SOLIDWORKS is a tool to make these moonshot projects a reality today, but it’s continuing to evolve to meet future design needs. This starts with SOLIDWORKS desktop. Gian Paolo expressed the need to protect users’ investment in desktop and covered recent upgrades to UI, interoperability and the graphics engine. “We are in desktop for the long run,” Gian Paolo said. The only constant in life is change and SOLIDWORKS will continue to adapt its software to meet these needs. Gian Paolo went on to demonstrate a cool new augmented reality (AR) approach to design with the help of SOLIDWORKS user and partner, Meta. The Company creates a headset enabling you to experience your design in AR. Finally anyone can be Tony Stark. The technology was elegantly displayed by giving the audience a look under the hood of the SOLIDWORKS-designed Italian sportscar, the Effeffe Berlinetta (you can learn more about the car’s design in this blog post). 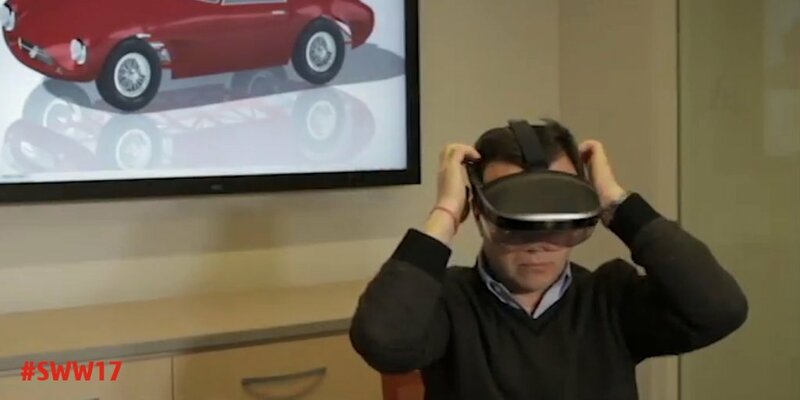 Gian Paolo went behind the Meta headset and shared his view of the Effeffe Berlinetta to see how the design could be examined and manipulated in an AR environment. Change is also coming to the relationship between design and manufacturing. Complex micro structures are limiting the traditional sketch-and-extrude approach. A transition needs to be made from design and validate to optimize and manufacture. SOLIDWORKS is working to facilitate this transition by developing topology optimization in collaboration with world-class SIMULIA engineers. Topology optimization is a technology that creates a close connection between simulation and geometry generation. 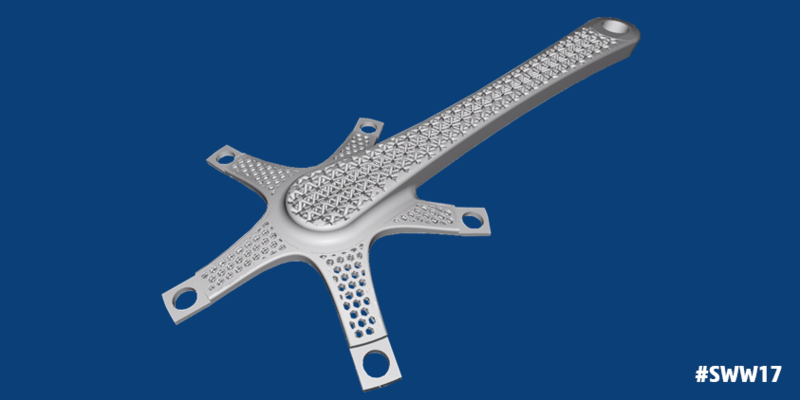 Gian Paolo explained that topology optimization will help you anticipate how to optimally reach engineering goals, then 3D print intricate micro structures with SOLIDWORKS partner nTopology. Over the last several years SOLIDWORKS has introduced a number of products to bridge the gap between design and manufacturing. These products include MBD, Inspection, Costing, Plastics Injection Sim, DFM, and Composer. Now SOLIDWORKS is ready to create a more integrated approach to design and manufacturing called Smart Manufacturing. 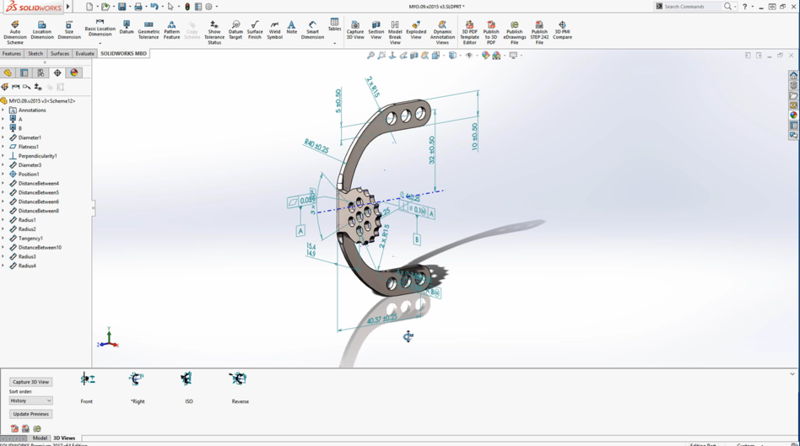 The achieve the goal of smart manufacturing, SOLIDWORKS is introducing SOLIDWORKS CAM, powered by CAMWorks, on all desktop versions of SOLIDWORKS. You can learn more about this new offering by attending the SOLIDWORKS CAM technical sessions at SWW17. After introducing these new applications, Gian Paolo moved on to SOLIDWORKS’ next priority: online. 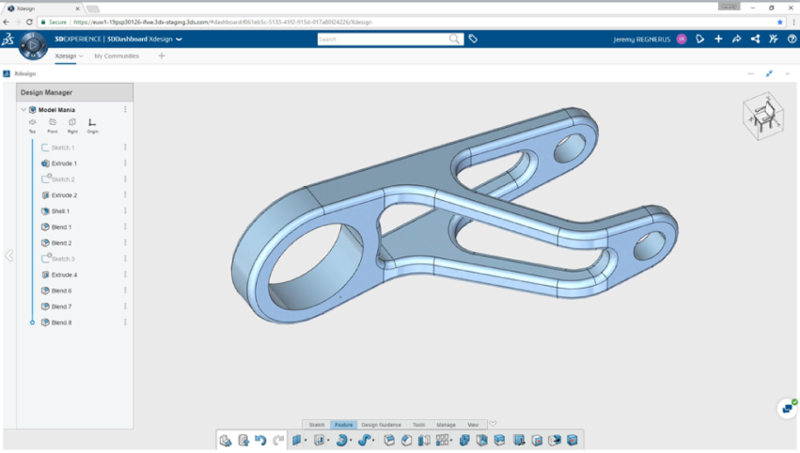 SOLIDWORKS Xdesign was previewed at last year’s SOLIDWORKS World as a browser-based design tool. Since, the project has evolved to provide a new approach to align with the era of design based on optimization and manufacturing. Gian Paolo referred to this as Computer Augmented Design. Based on the concept of design guidance, users do not begin work with sketches. Instead, SOLIDWORKS Xdesign is being developed to have the computer recommend optimal shapes for you. Music is an experience for the mind, body, and soul. It too has benefitted from engineering. 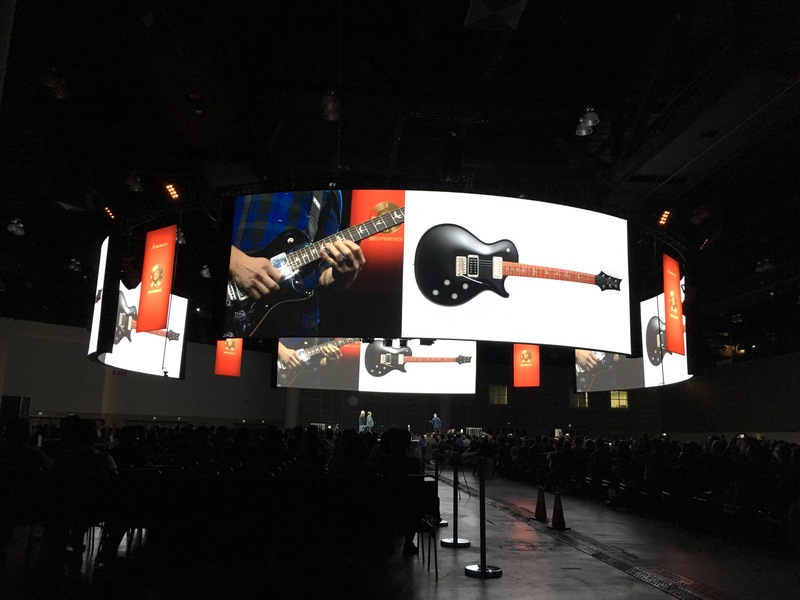 This marriage of art and science inspired the first-ever customer mashup presentation at SOLIDWORKS World between guitarist Mark Tremonti, lead guitarist of Creed and Alter Bridge, and Paul Reed Smith and Jon Wasserman of Paul Reed Smith (PRS) Guitars. The trio discussed how they collaborate to design and manufacture Mark’s guitar using SOLIDWORKS. 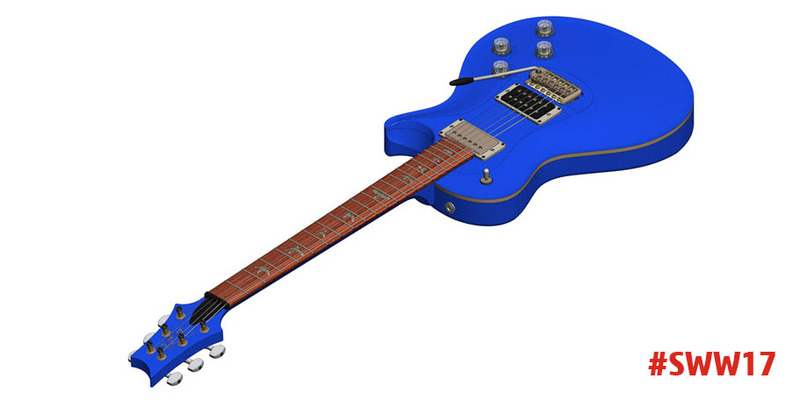 Paul Reed Smith, Managing General Partner at PRS Guitars, provided a detailed explanation of how Mark’s guitar “The Abomination” was designed in SOLIDWORKS. Paul Reed Smith and Jon shared how they can easily iterate on guitar designs and quickly make changes based on artist feedback – which admittedly happens frequently in the world of custom guitars. Having the ability to iterate virtually saves time and frustration from the old way of building multiple instruments to meet end user demands. This was Mark’s first glimpse into the world of SOLIDWORKS and he let everyone know he wants another guitar before indulging the audience in a shredding session full of tasty licks. After learning how artists and engineers collaborate to give us stadium-rocking experiences, Monica Menghini, EVP, Chief Strategy Officer Dassault Systèmes, took the stage to discuss design in the age of experience. The concept involves not just bringing products to life, but creating products that immerse users into a platform that becomes part of their everyday lives. For example, Nike is using data to transform from a sportswear company to a health and fitness platform, and Oral-B is helping users improve their oral health by tracking brushing habits (kids everywhere should be worried). When you design for the platform business model, you enable your company to build long-term and impactful customer relationships. 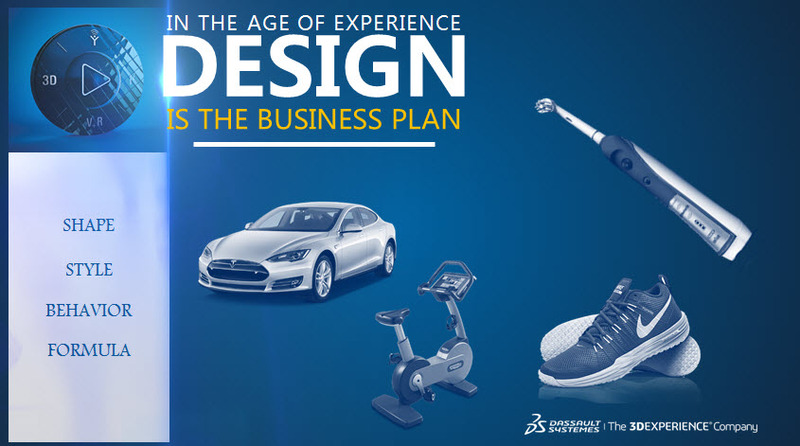 Bernard Charlès, Vice Chairman and CEO of Dassault Systèmes, then took the stage to discuss the several 3DEXPERIENCE Platform customers designing amazing experiences in the cloud. He opened with an update on the 3DEXPERIENCECity, which has created a virtual twin of Singapore. The project is helping Singapore better plan and understand how to optimize infrastructure for the public good. Customer examples from multiple industries, including Zahner in AEC, Joby Aviation in Aerospace, and the Maritime Offshore Group in Marine and Offshore, demonstrate the flexibility and power of the cloud to fit major products in multiple industries.